NEW YORK:– A New York physician who says he’s done 40,000 abortions in his career pleaded guilty Friday to criminally negligent homicide while performing one that led to the bleeding death of a 6-months-pregnant woman. The jury in Queens Criminal Court was close to a verdict on the original second-degree manslaughter charge against Dr. Robert Rho, equivalent to reckless homicide. Instead, he admitted he was negligent with the abortion on 30-year-old Jamie Lee Morales in 2016, severing her uterine aorta, ripping her cervix and piercing her uterine wall. 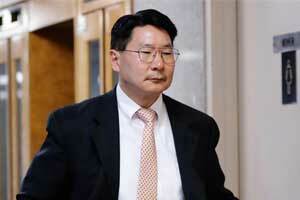 The 53-year-old doctor faced up to 15 years behind bars for manslaughter. The lesser charge comes with prison time of up to four years. But Rho’s attorney, Jeffrey Lichtman, says he may end up with only months in prison when sentenced on June 26. The attorney reached a plea deal with prosecutors on Friday after jurors said they were deadlocked in the four-week trial. Rho, who lives with his family in the Lake Success section of Great Neck, on Long Island, was arrested in October 2016, three months after Morales died. She had come to Rho’s clinic in the Flushing section of Queens with her sister, desperate to get an abortion, for which Rho charged $6,000, witnesses said. Profuse post-operative bleeding forced the doctor to perform another procedure that did not fix the damage, prosecutors said. Rather than call an ambulance, prosecutors said, Rho sent Morales home with her sister, despite signs she was in grave condition and had collapsed in a bathroom of Rho’s clinic. Morales fell unconscious in her sister’s car. Medics responding to a 911 call took her to the hospital, where she died. Lichtman said the botched abortion was a tragedy but was not a crime. He said Morales never told Rho that she suffered from medical conditions that made her prone to more intense bleeding. After her death, Rho closed his clinic and surrendered his medical license. Even before Morales’ abortion, the doctor had been investigated by state officials over concerns that he was performing procedures improperly and using assistants who lacked medical training, witnesses said at the trial. The last criminal prosecution in New York over a mishandled abortion was in 1995, when obstetrician David Benjamin was convicted of murder after a patient bled to death from a rip in her uterus during an abortion. Philadelphia doctor Kermit Gosnell was convicted in 2013 of involuntary manslaughter after a patient got a fatal overdose of sedatives during an abortion. He also was convicted of murder for performing extremely late-term abortions, snipping the spines of infants born alive during the procedures.